Last week saw the launch of Democracy 2015 – a project by Independent founder Andreas Whittam Smith to tackle the “sick” state of our democracy. 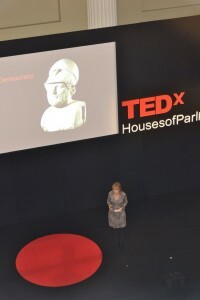 And at this summer’s excellent TEDxHOP event, speakers from across the political spectrum discussed just this point. Rita Clifton, chair of marketing agency Interbrand, argued that we need to treat democracy as a consumer brand in free fall. Clifton called for more definition and clarity about what the brand ‘democracy’ stands for, more consistency of political policies and a new leadership for democracy. Surely all this sounds very undemocratic. And if all we needed to solve the country’s democratic despair was a branding exercise, we wouldn’t be in the state Democracy 2015 believes we are in. But, is democracy really that ill? Sure voter engagement is falling, but public participation in politics and campaigning is increasing. The success of sites like Change.org, movements like Anchor’s Grey Pride, mass email pressure groups like All Out and 38 Degrees as well as the reaction to politicians at the Paralympics, show that democracy is alive and well. If fragmented. So the first thing Democracy 2015 needs to do is to tap into the many movements already out there and encourage this new democratic behaviour further. With a vibrant central democratic hub, democratic celebrities people can warm to and an enthusiasm for public service, our democracy will recover from its voter-turnout sickness and return to full health.